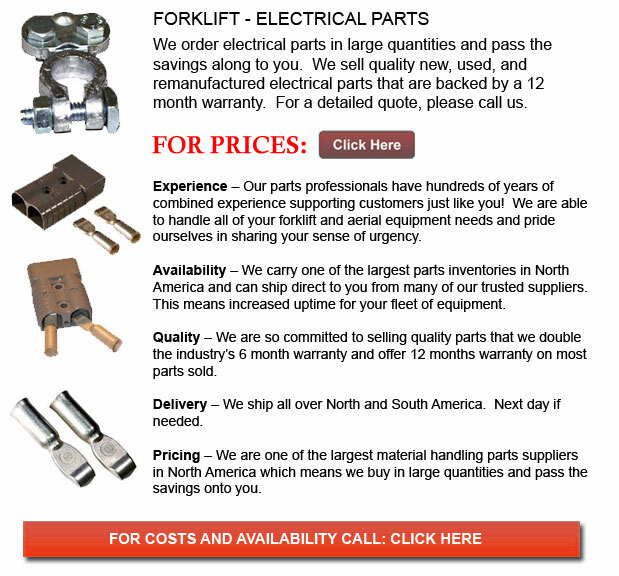 Forklift Electrical Parts - Lift trucks as well as various lift trucks can have specific labels utilized in some hazardous locations. The mark indicates that this certain model of lift truck meets the minimum standards of ANSI/UL 553 utilized for electric forklifts or ANSI/UL 558 meant for internal combustion engine forklifts. The application for labels intended for lift trucks may be found in National Fire Protection Association NFPA 505 - Powered Industrial forklifts including: Areas or Use, Maintenance and Operation, and Type Designations. Check with your local insurance carrier and Fire Marshall for further info concerning the approved uses of industrial powered trucks in your application. If the lift truck has been found to meet the outlined criteria, the following labels may be placed. A marked truck would have the type description located on the forklift nameplate and will have one of the following labels put.